Runecasting is not “fortune telling”. Runecasting works with the subconscious. The pouch and its symbols represent the universe and all its possibilities. 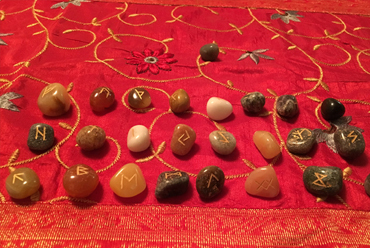 As the question is raised one must focus ones thoughts on that question so that the runes being select are not “truly random” as they are choices of your subconscious. Even back in Viking times, there was a remarkable under- standing of the human psyche. They recognized the relation- ship of cause and effect and how all thing are interconnected. The nature of these relationships is called “word.” Vikings also had a different view of “fate.” Today we use fate as an excuse to be helpless and establish pre-destination. How- ever, the viking used fate as a term to describe the future result of your past actions.